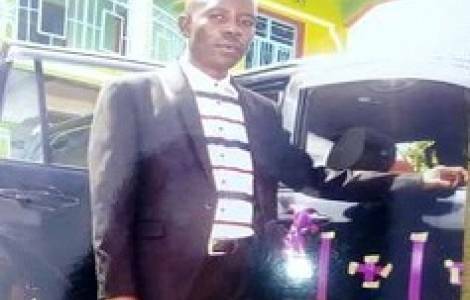 Kinshasa (Agenzia Fides) - "Human rights defenders in Uvira and Fizi, in South Kivu are appalled by the brutal murder of their colleague Masumbuko Birindwa, called Aimable, a very active and highly experienced human rights defender", says a statement sent to Agenzia Fides by CEADHO (Center for Education, Animation and Defense of Human Rights) of Uvira, in South Kivu, in the east of the Democratic Republic of Congo. According to the statement, on 21st August Birindwa went to Luberizi to attend a meeting for the release of the four humanitarian workers abducted on 20 August in the same area. On his way back home, Birindwa was kidnapped; his lifeless body was found in the bush after 6 days. "This horrible tragedy has increased the blacklist of human rights defenders killed in South Kivu, particularly in Uvira and Fizi", emphasizes the statement, which denounces: "human rights defenders are constantly victims of death threats, which force them to interrupt their normal life, as well as that of their families, to the point that many are forced to temporarily request asylum abroad". CEADHO recalls that several human rights activists "are kidnapped by unidentified people, or sometimes by law enforcement and security personnel; sometimes their lifeless bodies are found; other times they disappear forever. The lucky ones survive murder attempts but are seriously injured". At the beginning threats are used to put pressure on human rights defenders and intimidate them to stop their activities. Threats are often anonymous, sent via phone and via text messages and social networks (Facebook, Messenger, Wathsapp, Imo, Viber ...) or rarely with handwritten messages. If threats are not enough to make the activist desist, they then suffer physical violence.